Amazon's Web Services (AWS) Summit has been a fixture in our diary for a number of years now. It’s a key annual event for companies with an interest in cloud innovation. This year's AWS proved to be another well-run event with a packed programme of sessions. Talks covered a range of topics from mobile, Big Data to HPC, Security and 'Serverless' technologies. We were particularly interested in the ‘Serverless’ technology talks as running code without having to manage a server is a hot topic at the moment and an area we are increasingly working on. A fascinating lecture by Abby Fuller, senior technical evangelist and software engineer, gave us an insight of how companies such as Netflix use serverless technologies to transcode their media files into 60 different formats. It’s amazing what can be accomplished with this new, cutting-edge technology and how companies are using it to gain competitive advantage. 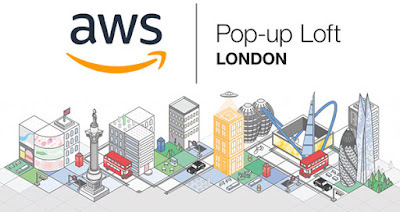 AWS technology is core to our platform and we left the event filled with ideas, ways to make the most of our platform and how best to implement different cloud technologies. The summit also proved a great opportunity to engage with third-party services. We'd like to thank Amazon Web Services for yet another excellent summit. We’ll definitely be back next year and hopefully in a position to share some of the innovative ways we are using the technology. We benefit from highly-complex technology that is easy to set up and use. Our proprietary platforms are fully customisable and scalable, ensuring our clients and partners get the best experience possible from their digital campaigns. Are influencers being paid to badmouth companies for a fee? WANT A NEW, HIGHLY-REWARDING APPROACH TO DIGITAL ENGAGEMENT? Contact us today for a demo of our industry-leading technology.